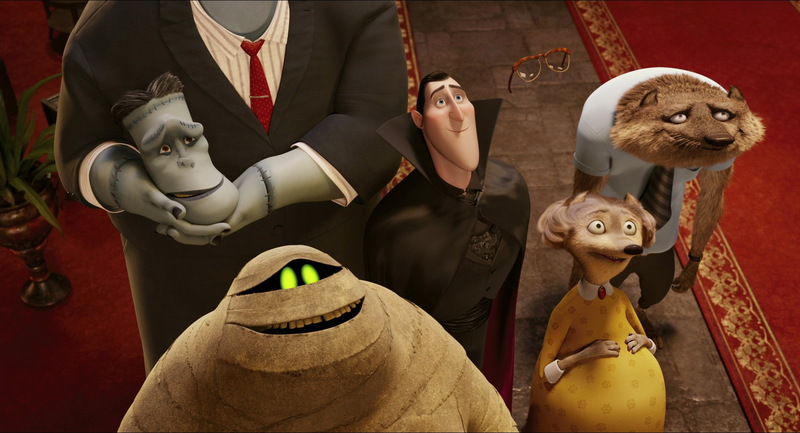 I don’t know about you, but family movie night is one of my favorite nights! I love grabbing a bowl of popcorn, cuddling with my kids and turning on a good movie. But, if you’re looking to add something special to your next family movie night, try a 3D movie! 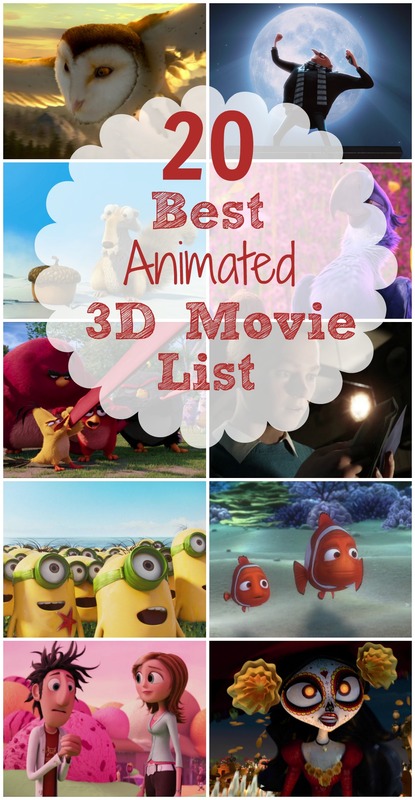 Check out this 20 best animated 3D movie list! 1. 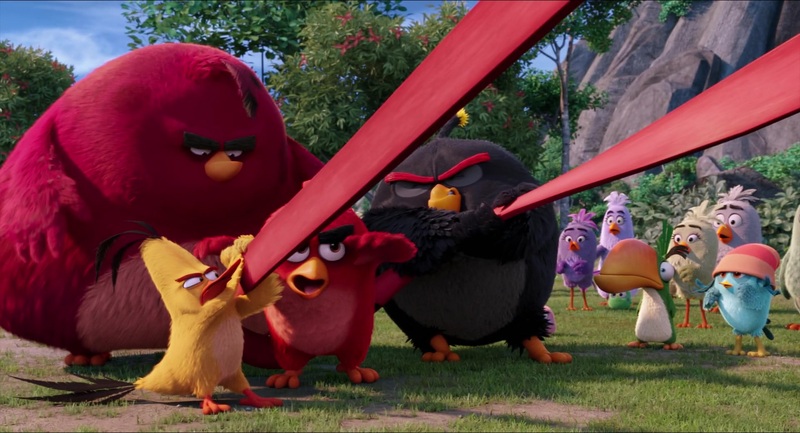 Angry Birds– I love this movie. Why, you ask? Because it’s full of fluffy birds being slingshotted into big, green pigs! If that doesn’t make you laugh, I don’t know what will! 2. Big Hero 6– If San Fransisco and Tokyo are two of your favorite places in the world, than you’ll love Big Hero 6, which is set in – wait for it – San Fransokyo! 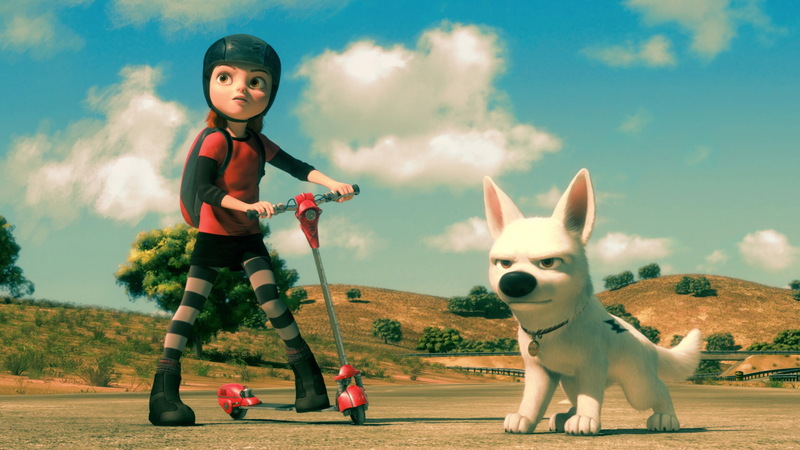 Get the most out of 3D effects with this super hero movie your family will love! 3. The Book of Life– This movie is for those who love the Day of the Dead and “all you can eat churros.” With a unique animation style and original story, this adventure movie will thrill your kids! 4. 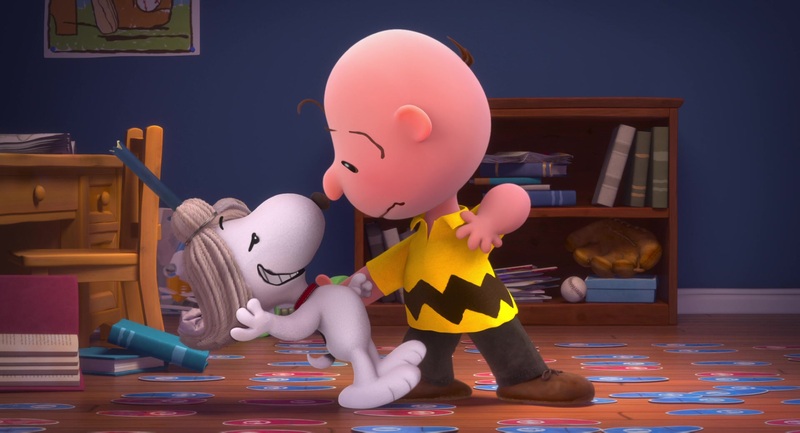 The Peanuts Movie– I was so excited when I found out The Peanuts Movie was coming out! It’s like a trip of nostalgia with a new age twist! 5. Frozen– This beloved Disney movie only gets better in 3D! You can almost feel the snowflakes falling on your face! Make sure to have a nice, cozy blanket when watching this one. 6. 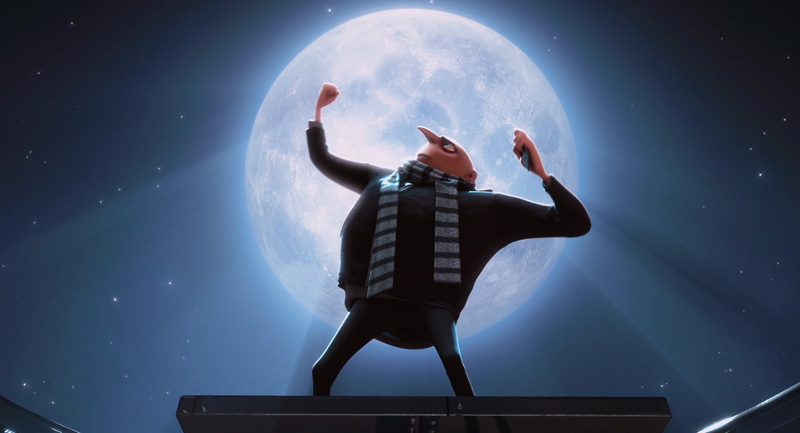 Despicable Me– If you’re looking for laughs and a heart warming story, than Despicable Me is an excellent choice! Also, the minions. That alone is reason enough to watch! 7. 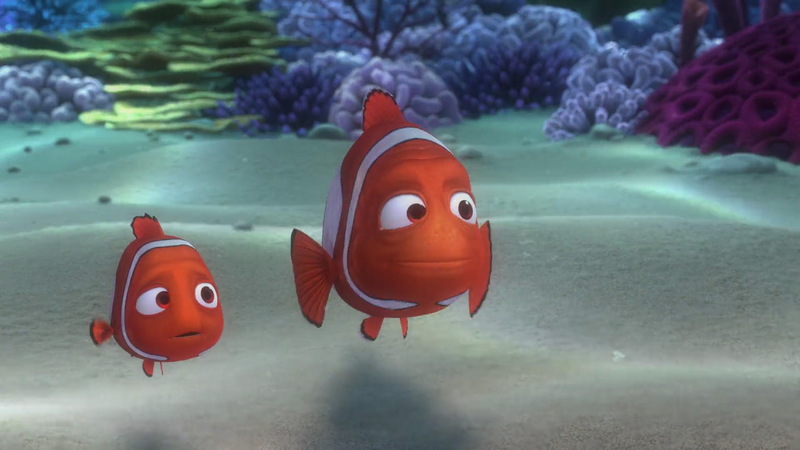 Finding Nemo– One of my favorite things about Finding Nemo is the incredible and beautiful animated scenery. It makes me want to live in the ocean! And in 3D- oh wow! 8. The Adventures of Tintin– Based off the comics by Hergé, this movie tells the story of a young reporter on a treasure hunt for a lost ship. Full of swashbuckling adventure, your family will love this 3D movie! 9. Bolt– Ok. Just look at this picture. How cute is that dog?! That alone should convince you that this movie is well worth your time! 11. Legend of the Guardians: The Owls of Ga’Hoole– I can’t get over how beautiful this animation is! It makes me feel like I’m flying with the owls! 12. Ice Age 4: Continental Drift– I can’t lie. My favorite part of Ice Age is Scrat. Always Scrat. I mean, look at that face! That alone makes me laugh forever! 13. Cars– Watch out. If you have any children obsessed with cars, this movie will become their life! 14. 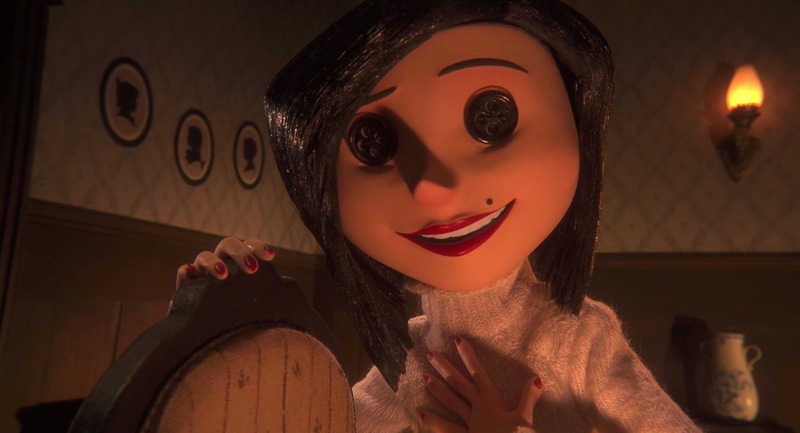 Coraline– Alright, I’ll be honest. Even I, as an adult, find this movie to be a little bit creepy… But it’s got a great message! Maybe good for Halloween? 15. Rio 2– I have always wanted to go to Brazil, and this movie brings it right to my living room! The music will get you up and dancing like you’re at Carnival (keep it PG though, people). 16. How to Train Your Dragon– For anyone who has ever dreamt of having a pet dragon (I’ve always been more of a unicorn person myself), this one’s for you! 17. Wreck-it Ralph– Find your inner video gamer (or sweet tooth) with this fun adventure! 19. 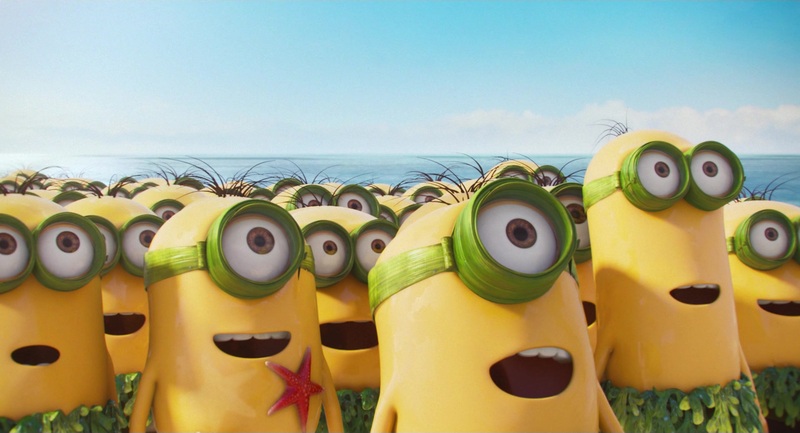 Minions– I know I’ve already mentioned minions before, but how could I leave out the Despicable Me spinoff? I mean, c’mon, minions! 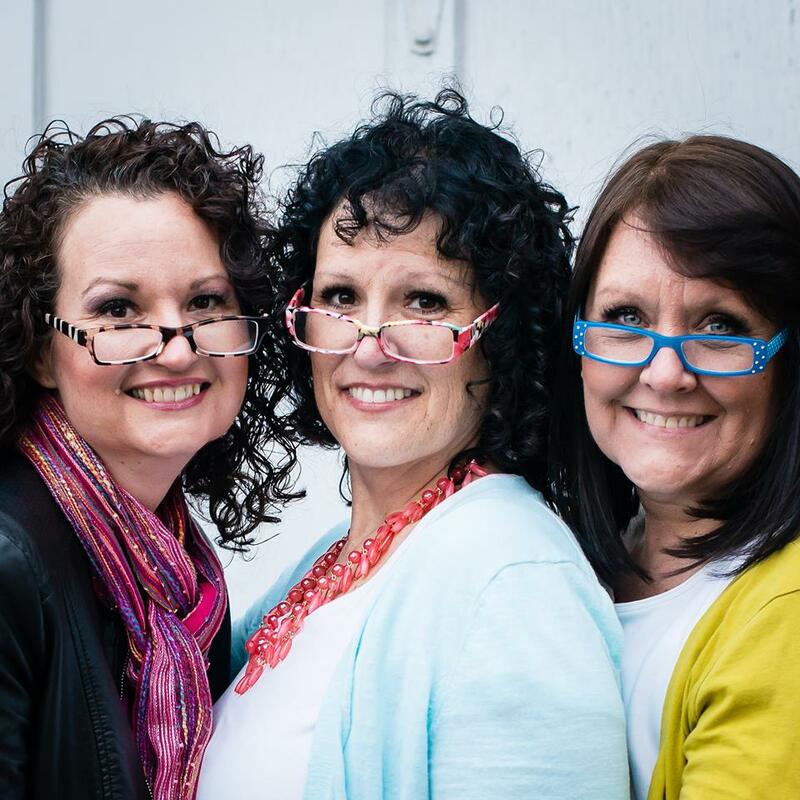 They’re adorable and hilarious! 20. Kungfu Panda– I really relate to this panda. He loves to eat, I love to eat. He loves to sleep, I love to sleep. He’s clumsy, I’m clumsy. Perfect movie for anyone like this.